Mis movimientos. A mi manera. ¿Otro día duro en la oficina? Da una vuelta alrededor de tu escritorio. El ejercicio es un desestresante natural. Schedule your workouts - Treat them with the importance of any other meeting! Get the most from each minute - add shorter, more intense bursts of exercise into your workout. 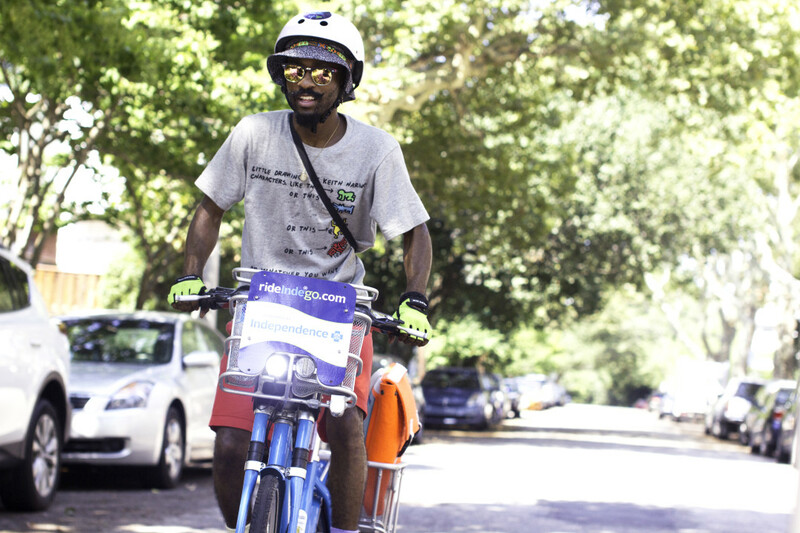 Philadelphia has more people commuting by bicycle per capita than any of its big city peers. Philadelphia Parks and Recreation has 4 indoor pools where residents can swim all year long. There are 71 outdoor pools in Philadelphia that are all open from June- August, host family swim and adult-only swim hours each day, and offer free swim lessons. Philadelphia has more public swimming pools than any other city in the country. In 2015, Philadelphia Parks and Recreation hosted its first Pop Up Pool Project to see if low cost, high impact improvements could improve pool experiences at the Francisville pool. The Pop Up Pool Project will expand on in 2016 to include 5 pools each hosting 2 fitness classes by the pool each week. Stair climbing burns more calories per minute than jogging. Climbing just 8 flights of stairs per day reduces average early mortality rate by 33%. 7 minutes of stair climbing a day can halve the risk of a heart attack over 10 years. Just 2 minutes of stair climbing a day is enough to offset the average middle age annual weight gain. Running up the 72 Art Museum Steps, as Rocky did in that iconic movie, burns about 12 calories. Philadelphia Parks and Recreation has 6 public 18-hole Golf Courses open from dusk until dawn. There is even a driving range in East Fairmount Park and a mini-golf course at the City Line Sports Center. There is no shortage of basketball courts in Philadelphia. Philadelphia Parks and Recreation has 460 courts. A 200 lb. person can burn 160 calories in just 30 minutes of “shooting around." Pickleball is a “sweet sport, with a sour name” that combines elements of tennis, ping-pong, and badminton. Pickleball is offered for adults at several Recreation Centers around the city. Spikeball is a variation of volleyball played with 2 teams of 2 players each on a specialized net. There’s a group of Philadelphians who play Spikeball at the Hillside Recreation Center in Roxborough. Did you know that there are 72 stairs at the Philadelphia Museum of Art? Stair climbing is a great way to improve your heart health. So, get to steppin’! Philly has the most bike commuters of the 10 biggest cities in the US. All together now! Families that exercise together are more likely to stay fit. Beat Monday blues by taking a walk before work. Since last year, swimming increased 38% in Philadelphia. Dive in and keep it up! Philly has over 150 neighborhood rec center’s. What’s happening at yours tonight? Aerobic exercise may be better for your brain than thinking itself. Regular exercise creates new neurons in the brain. Do you run these Philly streets? Try Fairmount Park. Trail running burns 10% more calories and improves balance & agility. Don't forget to breathe! When you lose weight through diet & exercise, fat leaves your body as carbon dioxide when you exhale! Adults need at least 150 minutes of moderate-intensity aerobic exercise or 75 minutes of vigorous exercise per week. 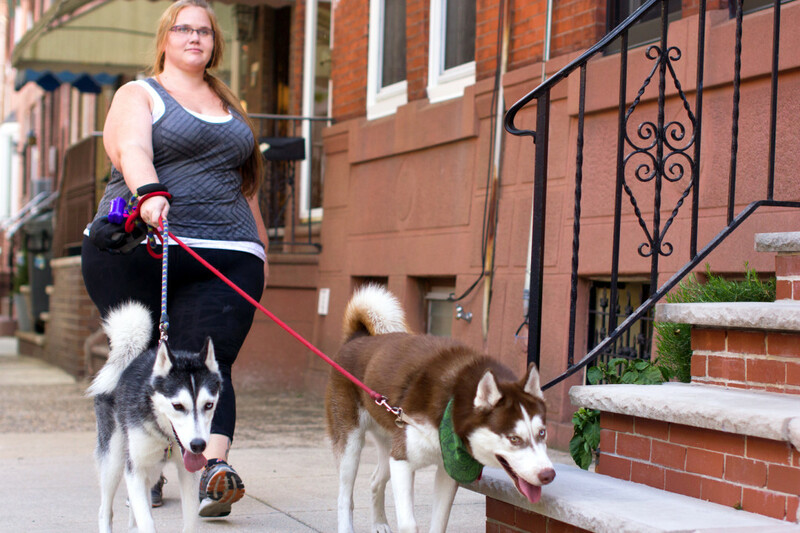 Everyday activities like walking the dog, biking to the store, shoveling the driveway, etc. can be considered aerobic exercise. Doing such activities for at least 10 minutes at a time can benefit health. 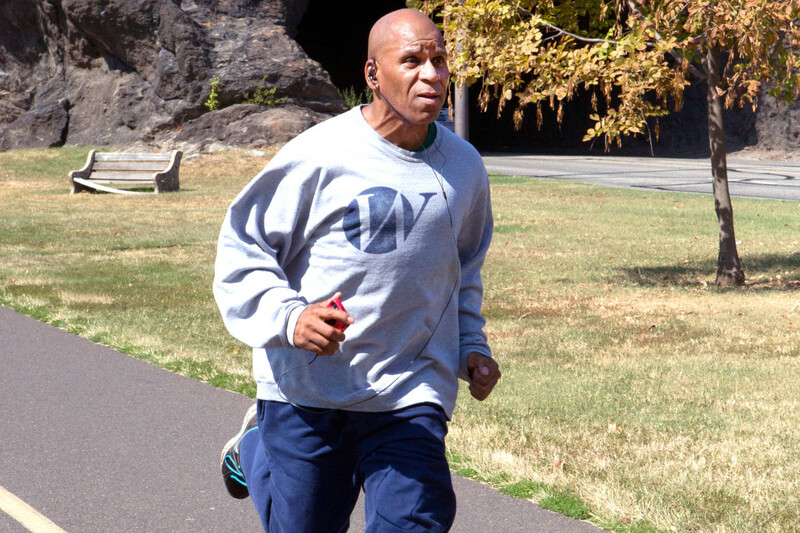 "Vigorous" intensity physical activities include jogging, stair climbing, swimming laps, jumping rope, and hiking. 75 minutes of vigorous or 150 minutes of moderate exercise per week is the recommendation for adults. “Cardio” is any activity that gets you breathing harder and your heart beating faster. 1 minute of vigorous-intensity activity is about the same as 2 minutes of moderate-intensity activity. Adults between the ages of 18-64 should be participating in muscle-strengthening activities at least 2 days a week. Having trouble fitting physical activity into your busy schedule? Try selecting activities requiring minimal time, such as walking, jogging, or stair climbing. Feeling too tired to work out? Try scheduling your work outs for times in the day or week when you feel the most energetic. Inactive individuals have a higher risk of heart disease, diabetes, high blood pressure, and obesity. Take the time to learn what physical activities your family enjoys together, and plan those exercises into your day. Setting goals to be active is a great way to motivate yourself. Make sure your goals are measurable so you can look back at the end of the week and see if you accomplished your goal or if you need to work harder next week. The simplest, positive change you can make to effectively improve your heart health is to start walking. Keeping your body hydrated before, during, and after your workout helps the heart more easily pump blood to the targeted muscles. Warming up and cooling down before and after your workout is critical for preventing injury and prepping your body. Experts suggest 5-10 minutes of warming up before your work out and 5 minutes of cooling down after your workout. Walk the extra distance! Just a simple change like parking further away at the shopping mall or getting off the bus a couple stops early could help improve health. Make your exercise fun! Use variety to keep your interest up. Walk one day, swim the next, and then go for a bike ride on the weekend. Make a playlist that fits your workout intensity. Listening to music while you work out can improve your workout by as much as 15%. Bring the family on your daily walk! Younger children can ride a bike or be pulled in a wagon to allow for more fun. Encourage physical activity by making it fun for the whole family. Try creating an exercise routine to your child’s favorite song. Just 1 hour of dancing can burn up to 330 calories. Let’s see your moves! Be ready for physical activity at any time by keeping comfortable clothes and a pair of walking or running shoes in the car or at the office. Physical activity can be considered vigorous, moderate, or light in intensity. This depends on the extent to which they make you breathe harder and your heart beat faster. Regular physical activity increases characteristics like sleep quality, self-esteem, and mobility. Muscle-strengthening activities will help you build muscle mass. These include activities like push-ups and lifting weights. Balance and stretching activities enhance physical stability and flexibility, which reduces risk of injuries. Some examples include yoga and martial arts. It is important for people with a disability to engage in physical activity to improve health. Individuals who have a disability should make sure to include some aerobic physical activities to reduce the risk of heart disease, stroke, diabetes, and some cancers. Some aerobic exercises individuals with a disability could try are: aquatic therapy, hand-crank bicycling, rowing, and wheelchair basketball. Adults with disabilities are physically active on a regular basis about half as often as adults without disabilities.